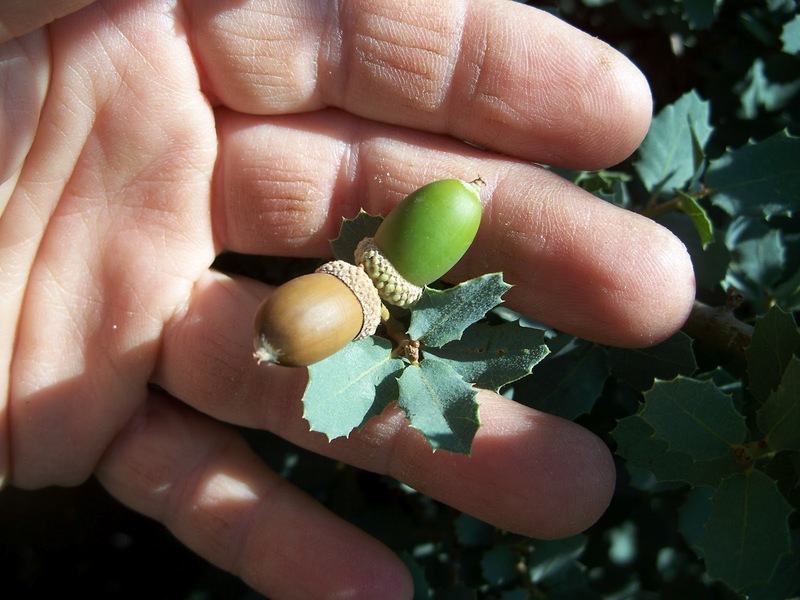 Turbinella Oak, our August Tree of the month remains discounted 15% through August. Come in and get one today and save! Read below for a full description of this great landscaping tree. 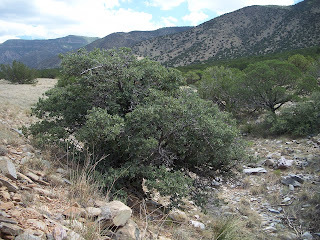 Turbinella Oak (Quercus turbinella) or scrub live oak, is a New Mexico Native evergreen tree. 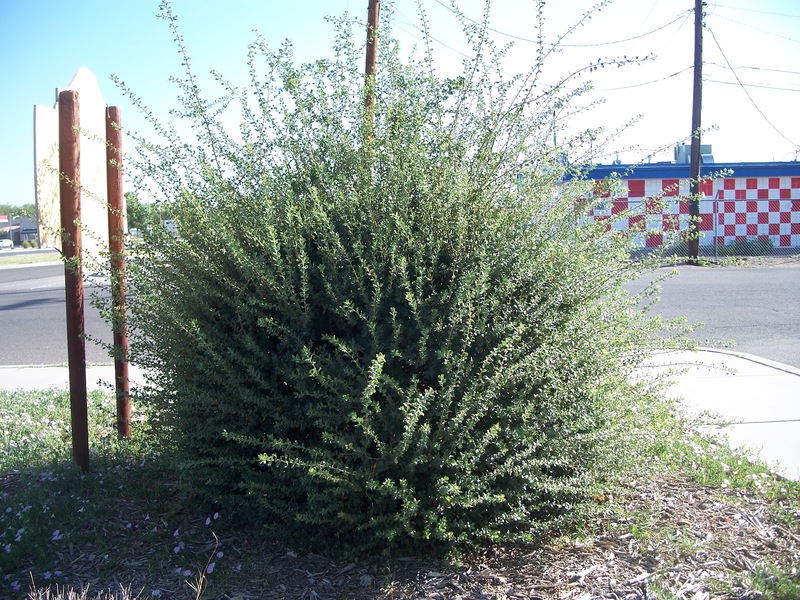 Its wild form is a short sprawling shrub or small tree reaching 12’ - 15’ tall. Wild form is also multi-trunked. 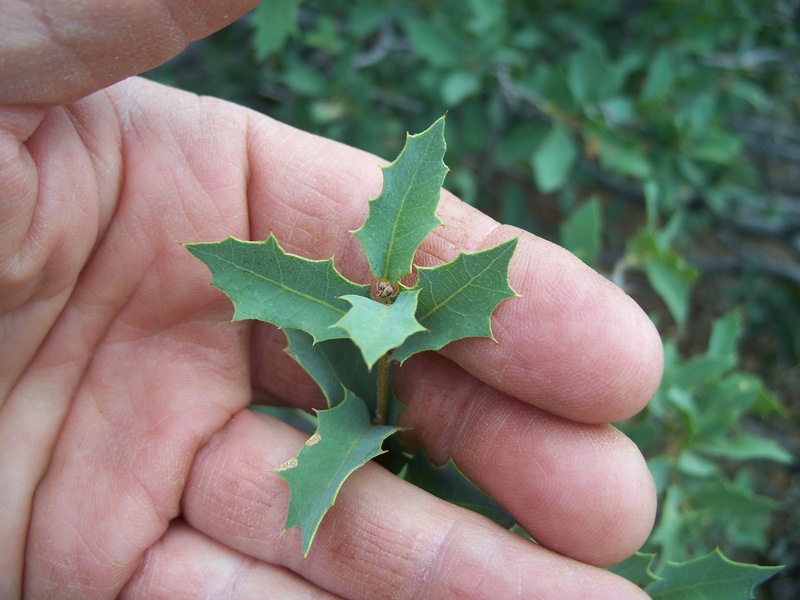 You would never guess it was an Oak species by looking at its leaves. 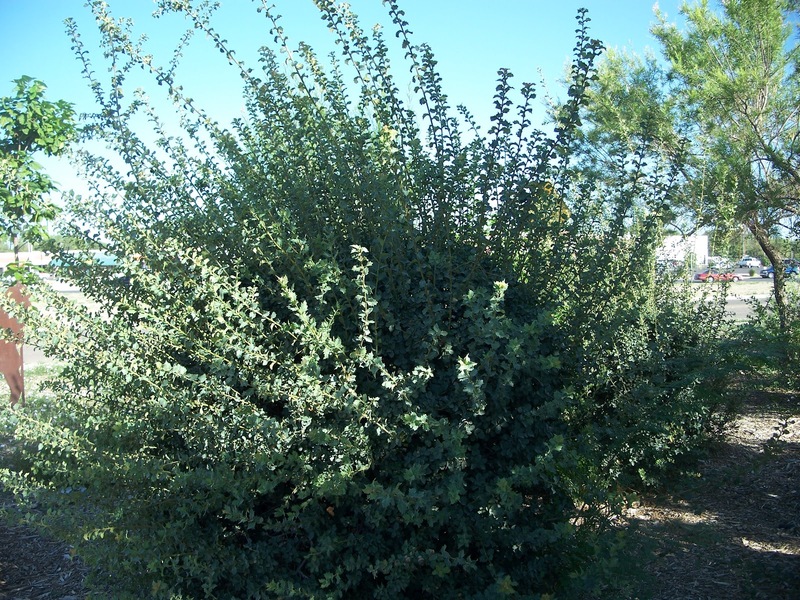 Turbinella Oak has thick grayish-green leaves that lack the lobes of most oaks. Their leaves are more similar to a holly with its pointed leaf margins. 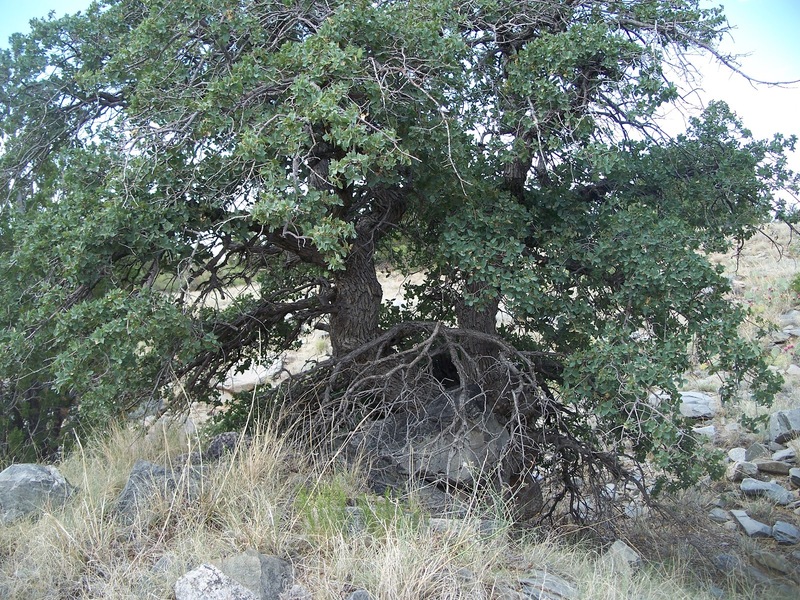 Its dense branch and leaf structure provides shelter for wildlife. This naturally dense canopy makes it useful in the landscape as a visual and wind barrier for those allergic to more conventional screening plants like the Junipers. Like Junipers, Turbinella Oak can be pruned to shape or conform to landscaping requirements. tree cholla, pinyon pine, Mahonia, and a larger evergreen oak, Quercus grisea, or Gray Oak. 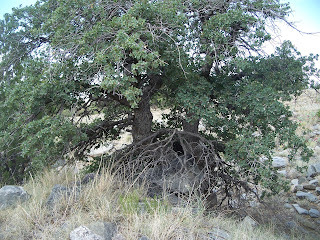 Turbinella Oak is a member of the white oak family. 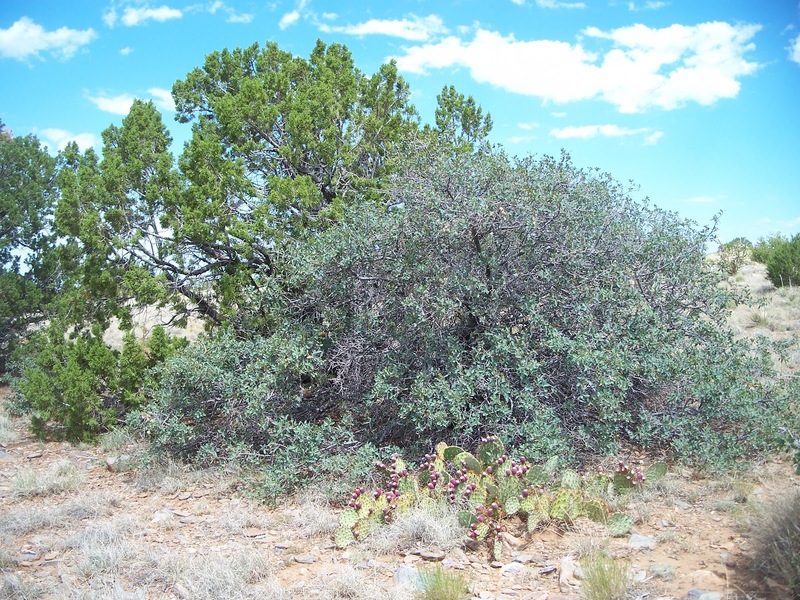 It will hybridize with other white oak species that overlap it’s wild range such as the Gray Oak (Quercus grisea), Arizona White Oak (Quercus arizonica), Sandpaper Oak (Quercus pungens), and Gambel Oak (Quercus gambelli). 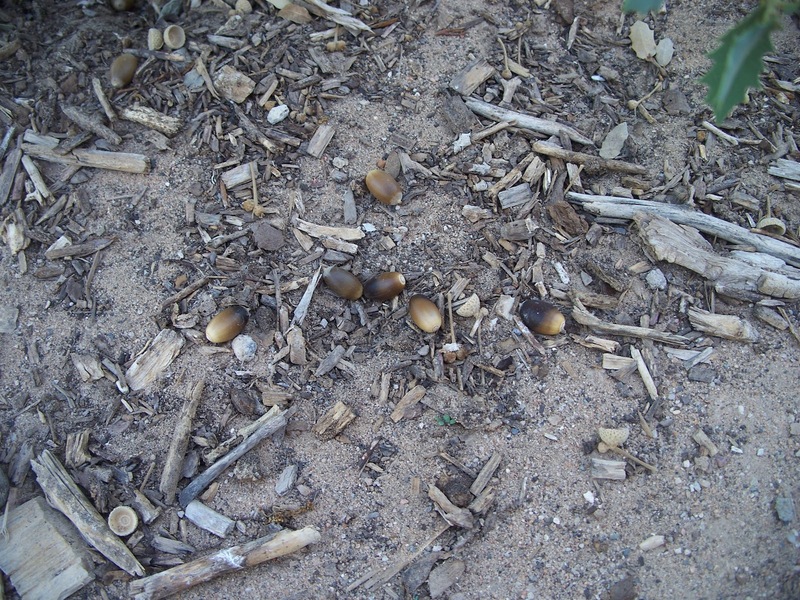 Turbinella Oak produces acorns that ripen during July and August. 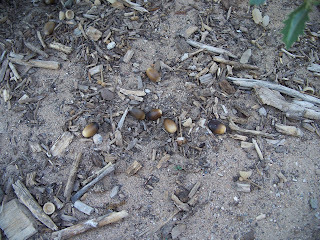 Acorns fall to the ground coinciding with the arrival of the summer monsoons. 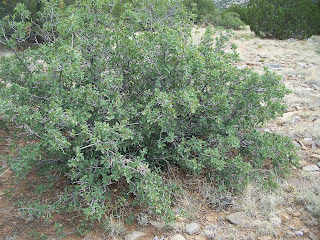 Turbinella Oak is a useful tree for New Mexico Landscapes. 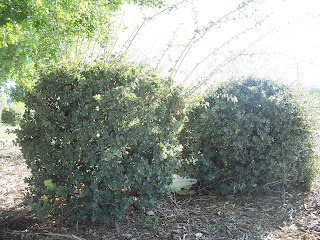 It is low water, heat and drought tolerant, deep rooted, and if pruned to a single trunk can reach 20′ or more. Normally slow growing on the west facing foothills of the Central Mountain chain of New Mexico, Turbinella Oak can grow 2’ – 4’ annually with regular watering (new growth around canopy below). Turbinella Oak is best grown in well-drained soils and is hardy to USDA zone 5. 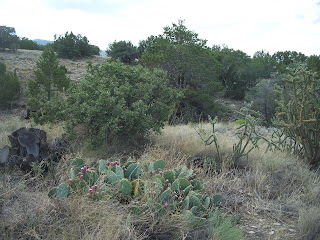 Great plant - living around them, a favorite plant way ahead of it's time in Abq. That's unfortunate and I just don't get it! Thanks for pointing out all the attributes of it. I think one of the problems with all the northeastern and midwestern horticultural mindset here is part why people don't think those are oaks, with those leaves! It absolutely is a great plant! 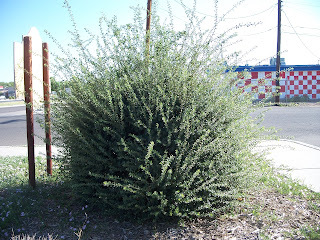 Colorful year-round, doesn't get too big, and with our need for low water landscaping plants it is a genuine winner!